Brexit: The Death of a Financial Center, or Much Ado About Nothing? Looking at my Facebook and Twitter feeds last week, I couldn’t tell if a political event had taken place, or if terrorists had detonated a nuclear weapon in a major city. Most people treated the U.K.’s decision to leave the EU as a sign of the impending apocalypse, only a hair removed from Sauron killing Frodo and taking his ring. I dislike ~75% of my “friends” on Facebook – time to cull the list! There has been a massive overreaction to this referendum. As I browsed around, I realized that I disagreed with about 90% of the “Brexit” coverage. You could write hundreds of pages about what Brexit means for immigration, the GBP/USD exchange rate, home prices, or wheat farmers in the east of England. I’m going to focus on financial services, and more specifically on M&A and investment banking jobs. While Brexit is unlikely to make a positive impact, it isn’t nearly as bad as the media and the markets have claimed. This idea is pure fantasy. Sure, bank CEOs went around threatening to move banking jobs elsewhere, but only one of these cities (Paris) is even close to London’s size (see: European cities by population). Then there are other issues, such as much better employee protection in France, Germany, and Italy, which banks hate, and a lack of housing and infrastructure in most of these cities. Do you honestly think that everyone will relocate to Frankfurt, which has a total population of ~700,000? Even if the city could support that massive population increase, it isn’t possible to build enough infrastructure to do so anytime soon. Amsterdam’s population is ~800,000, and Edinburgh and Dublin have ~500,000 each. Paris is about the same size as London if you count the entire urban area (but smaller if you count only the inner circle), but language, economic, and regulatory issues make it unlikely for banks to relocate there en masse. Continental Europe also has a tradition of being unfriendly to Anglo-Saxon-style banking, which is why France and Germany pushed for a “financial transaction tax” a few years ago, while the U.K. and others opposed it. Cross-border M&A deals happened before the EU ever existed, and they’ll continue after Brexit. But the biggest problem with this fantasy scenario is what happens next: specifically, what if other countries now vote to leave the EU? If this idea seems far-fetched, remember that almost everyone was wrong about Brexit as well. Banks are not going to relocate entire teams when there’s uncertainty over the possible exits of other EU member states. If you’re relatively young, and you earn a lot of money, the U.K. government wants you in the country for your tax money. True, the Brexit vote was mostly about the refugee crisis and immigration, but immigration rules will become stricter primarily for lower-earning employees. In all likelihood, the U.K. will adopt a points system similar to what it currently uses for non-EU workers, which heavily favors young, educated, and high-earning professionals. Also, if you’ve been working in the country for more than five years, you can still apply for permanent residency if you want to stay. Under a practice known as “passporting,” a U.K.-authorized firm can do business in any other European Economic Area state by winning approval from British regulators. This practice lets non-EU banks like CS and JPM operate in London and then access all the other EU markets. If this goes away, these banks will have to open local subsidiaries and go through the regulatory approval process in each country separately. But is that really such a big deal? These are giant corporations with hundreds of thousands of employees, and banks like Credit Suisse already appear to have subsidiaries in various EU countries (Source: Capital IQ). It might take some time to set up subsidiaries, but would it destroy JP Morgan if they had to set up new entities in the top 5-6 countries? Also, keep in mind that “leaving the EU” is not an all-or-nothing scenario. The U.K. might end up negotiating bilateral agreements, as Switzerland has done, or using the “Norway approach” and remaining in the EEA. I’m skeptical of that approach since it would mean accepting “the free movement of people” – but the point is, no one knows what the new relationship will look like yet. As mentioned above, banks are unlikely to shift around entire teams when other countries are at risk of leaving the EU and when the U.K.’s new relationship is a big unknown. So I find it highly unlikely that banks will rescind offers for jobs set to begin in the next year. They might shift some staff to other cities, but I don’t think anything major will happen within the next year. We’ve received questions to this effect, but I don’t see the logic: why would the recruiting process change? Why would banks eliminate assessment centers or competency questions? These features exist because they do a better job of evaluating candidates than traditional interviews do – not because the U.K. is a part of a political and economic union. Hiring could become more localized, with London acting as less of a hub. And there are recruiting differences between London, Frankfurt, and Milan (for example). So in that sense, recruiting could change because fewer candidates would go through the entire London process. But isn’t that a positive development? If a team in London hired you because you’re Italian, and you have to work with Italian companies, isn’t it better to work in Italy? You might get less exposure to different products and teams, but you could always transfer elsewhere if the bank is big enough. With all that said, no, the hiring outlook for London is still not positive. European deal activity is down by 20-30% this year, hiring has been sluggish everywhere, and the global economy is weak. With this new uncertainty, banks are unlikely to expand hiring anytime soon. Brexit may offer some potential benefits, but I’m skeptical of most of them. A few months ago, I read through thousands of pages of U.S. and EU government documents on Dodd-Frank and CRD IV as I was working on our new Bank Modeling course. It was so boring that I almost jumped out a window, but I learned a lot about banking regulation in the process. CRD IV is the EU’s local implementation of Basel III, but it goes well beyond capital requirements for banks and also impacts banker compensation. For example, it limits the bonus:salary ratio to 1:1, though it can be raised to 2:1 in certain scenarios. It also imposes additional capital buffers on banks (beyond the Basel III requirements) and requires disclosures on executive compensation, risk management, and more. I don’t think the U.K. can just “repeal” CRD IV, but it may be able to tone down parts of it. In the U.S., Dodd-Frank applies only to banks with over $50 billion USD in assets. A similar carve-out already exists in the U.K.: the bonus cap does not apply to banks and building societies with under 15 billion GBP in total assets. That might stay in place, and possibly even expand. But even if the U.K. somehow got out of CRD IV, it would still have to comply with Basel III, which automatically reduces profits and therefore bonus potential. The U.S. hedge fund industry, at ~$2.2 trillion, dwarfs the one in Europe (~$700 million). Many factors explain that, but one recent one is the “Alternative Investment Fund Managers Directive” (AIFMD), which regulates everything from fund marketing to leverage to reporting and compensation. There is some evidence that U.S.-based managers have stayed away from Europe because of the added burden of these regulations. So regulators might reduce these requirements, which would encourage more funds to set up shop in the U.K. But as with CRD IV, this one is heavily dependent on the U.K.’s new relationship with the EU. If they still want access to the single market, they’ll have to comply with the AIFMD. With a much lower GBP, many U.K. companies are far cheaper to foreign acquirers, especially ones in China and the U.S. Plenty of U.K. companies will also spin off divisions, in some cases, and make acquisitions, in other cases, to retain access to the EU market. M&A activity tends to increase when there are regulatory changes – we’ve seen that with Basel III and worldwide bank M&A, and with Obamacare and health-insurance deals in the U.S.
Then there are other EU rules that restrict investment and deal activity. For example, ownership of European airlines by non-EU companies is currently limited to 49.9%, which explains why Delta owns exactly 49% of Virgin Atlantic. With rules like these eliminated, minority-stake investments could turn into full acquisitions more easily. So what will actually happen as a result of Brexit? Relocation of Jobs to Other Cities: I doubt anything major will happen in the near term. In the long term, the banking industry might become more evenly distributed across Europe, but the biggest teams will still be in London. Also, it’s far more likely that jobs, particularly M&A-related ones, will end up in Dublin or Edinburgh (assuming Scotland also leaves) than in Paris or Frankfurt. M&A Activity: It’s down in Europe and down even more in the U.K. this year, and that won’t reverse anytime soon. But all these regulatory changes could result in higher deal volume down the road. Compensation: There’s an outside chance that compensation could increase because of more CRD IV carve-outs, but this one is unlikely to happen at the big banks. As in other regions, boutique banks still win on compensation. Your Job Offer: Yes, some banks rescinded offers after Lehman in 2008, but that move also led to a shortage of mid-level bankers a few years later. This time around, if anything happens at all, you’re more likely to be relocated (~60% of London bankers are from other EU countries). The Death of a Financial Center? So I lean more toward the “much ado about nothing” camp on this issue. Beyond the factors above, there’s a host of other reasons why this move may make a smaller impact than what the media claims (just as one example: The U.K.’s EU membership fees are equivalent to a 7% tariff vs. the 3-4% tariff on non-EU countries). So no, the world is not ending. Sure, banks may shift around some jobs, but they’re not going to pack up and suddenly leave the world’s fifth-biggest economy. And if people on social media claim that this, or any political event, represents the apocalypse, be skeptical. They might just be confusing it with a wildfire explosion or a stray dragon in King’s Landing. Hi Brian, first of all, many thanks for sharing your views about the impact of Brexit with a special focus on financial services, and more specifically on M&A and investment banking jobs. The main reason why there has been a massive overreaction to this referendum, is because the whole idea behind Brexit was to safeguard our interests, but the way it has turned out is quite the contrary. There are far more questions than answers and it is still not known how EEA nationals living here will be able to register their status, let alone what the immigration system will look like after separation. HR professionals considering the impact of Brexit on Irish citizens need to take into account the general rules (as they apply to each other’s citizens), but also the special status of those individuals commuting across the border between Northern Ireland and Ireland. Yes, that is part of it, but I’m not sure why anyone expected differently. It’s a huge change to governance… of course there will be a period of uncertainty. That has always been the case historically when countries have joined or departed major alliances/unions etc. Could you please explain why M&A advisory jobs would have to be relocated? For example, lets say today you have a banker in London advising a European client on the acquisition of another European company. In 3 years time (lets assume the UK has no passport into the EU), what would change? Why wouldn’t a banker in London be able to advise this European client on this same acquisition? I believe that Banks will be on the conservative side when deciding how many offers they are giving out in the short term (i.e. this next recruiting season starting in Aug-Sept) basicially due to uncertainity regarding UK/EU growth, regulation, policies, political stability, etc. Which is a bit of a bummer but I agree with the article, overall and in the long term this is not a major issue. Yes, that’s true, though I would argue that banks were already going to be conservative with job offers, given the state of the economy in most of Europe… Brexit is a convenient way to justify it, though. Job offers won’t be rescinded but they may be less valuable if you have overseas expenses. Someone I know is relocating from US this summer within the same firm but London package was set in GBP a few months ago. That’s not too big a deal if all her expenses will be in London. But servicing US education loans just became more expensive. Yes, that’s true, but it remains to be seen if the GBP will remain lower for the long term. Paris has 2m? Good morning M&I! Paris is as big as London. Reminder: La Défense is not in Paris. and SG, Axa, Total… are based in La Défense. But the basic point remains the same: Language, economic, and regulatory issues make it unlikely for banks to relocate everyone there. 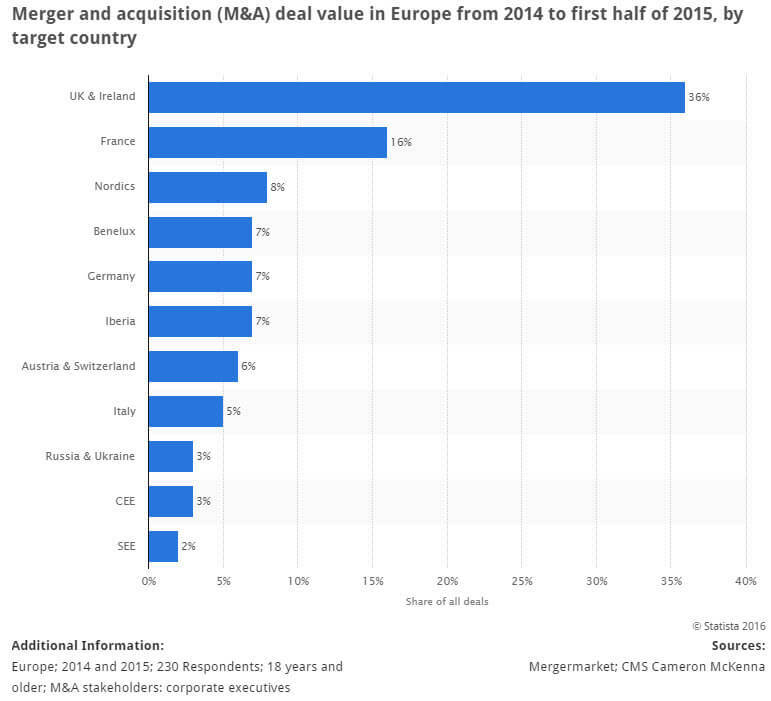 2014 and 2015 M&A value in UK and Ireland should be adjusted to take out some of the Big Pharma deals where US companies relocated to Ireland for tax reasons. These deals, at least to a large extent were driven out of the NYC office. The way it is shown now, UK and Ireland are overemphasized in comparison to Continental Europe, which is not completely correct. Sure, maybe it’s not 36% of all the deal volume in Europe, but it’s clear that the U.K. does have, by far, the most deal activity of any country there. Would really appreciate if you could cite the source for this. Or if you did a back of the envelope calculations to arrive at this, could you shed some light on the assumptions please? Many thanks. It seems like the most reasonable range for net payments is £9-13 billion per year. -Approximately 44% of the U.K.’s exports go to the EU, so the total in 2015 was £220 billion (https://fullfact.org/europe/uk-eu-trade/). -So £9 / £220 = 4.1% and £13 / £220 = 5.9%. You could go back and forth on the numbers, but it seems unlikely that EU Membership Fee / U.K. Exports to EU exceeds 1.5%. Neither side “needs” a free-trade agreement to continue trading. Sure, it helps reduce friction and increases trade volume, but it’s not required. The U.S. has no such agreement with the EU, and yet the two entities have the biggest trade relationship in the world. Could you please speak a bit on change in compensation for UK bankers in light of the drop in currency? I don’t think banks will change base salaries just because the GBP has fallen by ~10% against the USD in the past year (well, more like the past week). No one even knows if it will last. If the GBP stays this low or goes even lower by the time bonus season comes around, some banks may adjust bonuses such that they match the USD bonuses given by banks in the U.S. But I think foreign banks are more likely to do that than U.K.-headquartered banks. Excellent work as usual, long time follower of the site (in fact, you helped me get my current internship so thank you very much). Not to be pedantic but your first mention of “Edinburgh” you missed the “h”. Which makes it a town in either Texas or NY. (Wouldnt it be cool if the banks relocated their, though with “Texit” talk going on now I’m not sure…..
Any thank your advice to prepare to pay attention to detail. Otherwise great work and I totally agree with you both in substance and your overall approach to current affairs and careers. there*(The irony does not escape me). Thanks! I fixed that. Yes, I must have been subconsciously thinking of Texit… everyone wants to exit everything these days. Good question. Most people seem to think sales & trading jobs will move to local European cities more quickly than IB jobs, and I would tend to agree, especially on the sales side where it’s critical to know local clients. It’s a bit tougher to say with trading because it depends heavily on how the EU regulates the industry going forward. 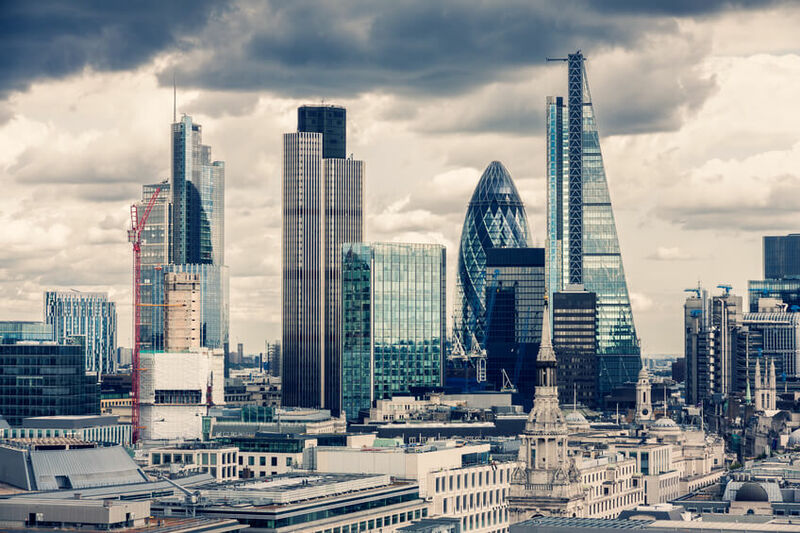 If they do actually impose a “financial transaction tax,” many trading jobs will stay in the UK; if not, more jobs will go to the other cities over time. Paris is as big as London. It’s just because they don’t count anyone outside the inner circle. Please correct your mistake. Thanks! Thanks for pointing that out. Yes, I’m aware that the total population of Paris, if you include the “urban area,” is much larger (as it is for the other cities here as well). 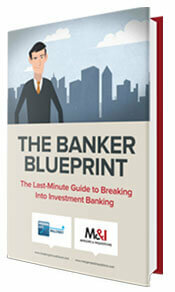 However, major banks that relocate there will likely want to be in the inner circle. Just look at where the large banks currently are. 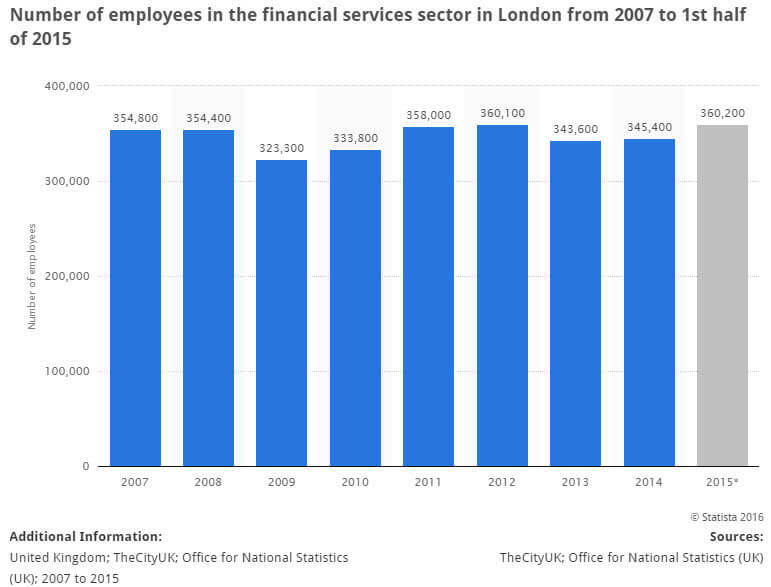 With a smaller population and physical area for the “inner” section, the city wouldn’t be able to support a huge influx of bankers quite so easily. Even if you use the larger population figures, the basic point still stands: yes, Paris is the biggest city after London that banks could plausibly move to. But the labor laws and regulations make it a less likely destination (plus, what if Marine Le Pen wins next year?). Maybe you can get some more mileage from this post through the likes of Axial which has a good sized newsletter following – let me know if you need an intro there. Sure, thanks, feel free to pass along the link. 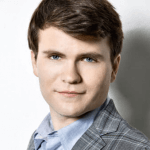 I’m not really looking to get famous – I do write news-based articles occasionally, but tend to avoid it since they don’t stay relevant for long. I just knew you were going to write about this (and glad you did). “Most people treated the U.K.’s decision to leave the EU as a sign of the impending apocalypse, only a hair removed from Sauron killing Frodo and taking his ring.” — this made me keep reading. Good stuff as always Brian! Thanks! Yeah, with all the ridiculous news stories going around, I had to say something. Should we expect a piece if TRUMP (God forbid) / Clinton wins? Glad to hear that a piece will be coming out then. Hope you have a fun 4th of July weekend! What I find more disturbing in the political sense is the idea that if a democratic system doesn’t like the outcome of a vote, well then they just vote again until they like the outcome? “We need another vote because the common populace is ignorant.” Well welcome to democracy. I have no skin in this game either way as I’m American but countries should pick a system they want and stick with the good and bad. If they don’t like votes then they can adopt a Chinese system where only the sophisticated and secretive make policy. Voting over and over until you get the result you want is laughable. And don’t feel so bad, I only have about 8 Facebook friends haha. Good article. Finally some wisdom out there. Thanks! Yeah, agreed, the scare tactics are insane. The calls for an additional vote are also insane. And Facebook friends are overrated.